You asked for them – now we’ve got them! In our Edgemont Village Store – Join Alexa on Monday nights as she teaches three of her most popular designs. In our Point Grey store, we have lots of choices as well. Socks on two circular needles will be taught by Deanna on Monday nights in January followed by a four week Beginner Crochet course in February. 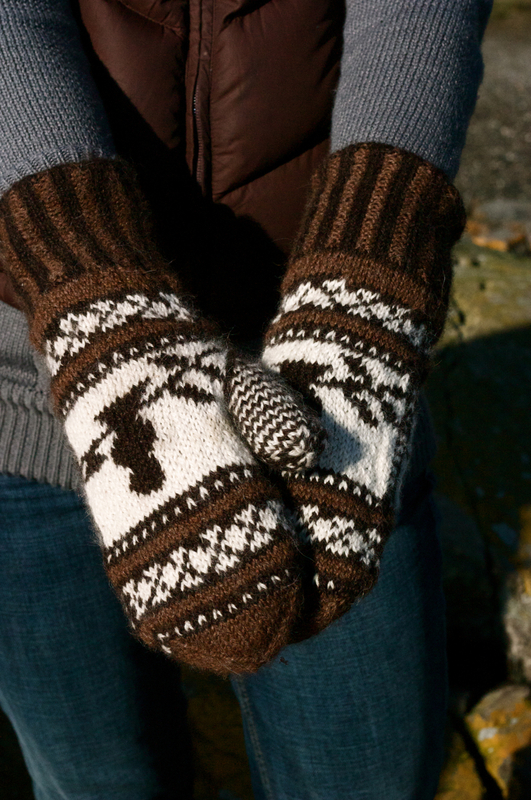 Alexa will be teaching the ever popular Fiddlehead mittens class through January and February on Tuesday evenings. 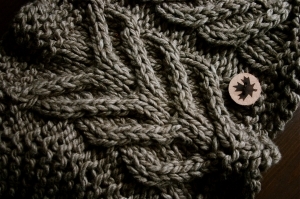 This is such a fun project, especially if you’re new to fair-isle knitting. From her newly published book: Introduction to Knitting: a Simple-to-use Guide to creating Hip Knits, Astor will be teaching her Making Knitting Possible class on Thursday afternoons in January. Who doesn’t have trouble with their knitting from time to time? Our Question and Answer sessions are perfect for all types of questions and queries. Astor will be here on Wednesday mornings from 10:30 – 11:30am and Alexa from 6:00 – 7:00pm on Friday evenings. As always, Sandra will be teaching her Beginner and Beyond Beginner classes on Thursday nights throughout January and February. Sandra will take you through the basics and get you ready to start your first project. 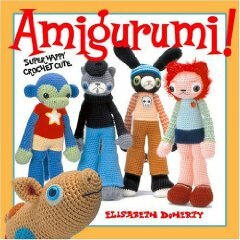 And for the kids out there… Alexa will be having learn to knit lessons from 3:30 – 4:30 on Tuesdays. This is a great class to do with a couple of friends or school mates! We will continue our Knit Nights and late night shopping on Friday evenings in Point Grey only from 7:00 – 9:00pm right after the Question and Answer session. Please feel free to come to a social evening of knitting, talking, and shopping! This week’s theme will be stockings! 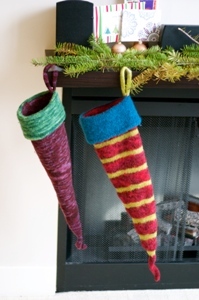 Alexa will be working on the stockings below from Alterknits Felt, but she has lots of other options as well. 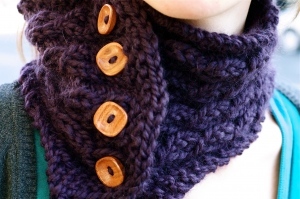 Bring your stocking patterns to knit along with every one else. Please note that this is not a lesson, but private lessons are available through us. Many more classes are on our website, right here. To sign up, please call the stores. This entry was posted on Friday, December 4th, 2009 at 3:55 pm	and is filed under Uncategorized. You can follow any responses to this entry through the RSS 2.0 feed. Both comments and pings are currently closed.